We've had an impressive run of second issues from the New 52 by DC Comics. Justice League #2 was a fantastic issue thanks to Geoff Johns' well paced action-packed comic which featured a cool showdown where Superman took on Batman and Green Lantern. The incredible artwork by Jim Lee was elevated to another awesome level thanks to the work of Scott Williams. To add to the excellence we have Batman #2 by Scott Snyder and Greg Capullo. The fanboys are high on Batman #2 like a crowd at a Grateful Dead concert circa 1972. I'll admit I was not 100% impressed by Batman #1 but was absolutely blown away by Batman #2. Rounding out the list of great comics is Wonder Woman #2. Holy Toledo, folks! Wonder Woman has to be one of the best titles of the New 52. I was very pleased with the first issue and was hoping for an equally strong second issue. 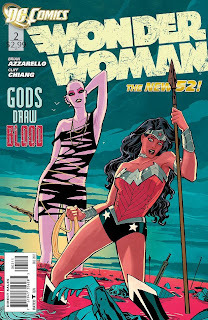 Azzarello and Chiang have once again knocked it out of the park and I have to say that I'm working on checking out some Wonder Woman anthologies to become more knowledgeable with our beloved Amazon. I still have no idea why it took me so long to appreciate Wonder Woman. Fortunately, Azzarello has created a series where new readers like myself can jump right in and not feel lost. I'm very pleased with the way he has developed a tale that blends action, horror, and mythology. In this issue, we have more of the mythological angle with Diana returning to her Amazon home to aid Hermes and to seek the guidance of her mother. Along for the ride is Zola, the young lady who is pregnant with Zeus' baby. We got some serious 'baby momma drama' here. Also, we are introduced to the wife of Zeus, Hera, and her daughter, Strife. To be honest, I've never been one for the Greek or Roman pantheon of gods, but my interest has peaked slightly since reading Wonder Woman. Azzarello is one of those writers that I enjoy and he has been impressive with this title. He is building up Zeus, who we have not seen, and I have a feeling we are in for an epic battle of the gods. Not only do we have a great story, but we have some impressive panels and a very cool cover by Cliff Chiang. 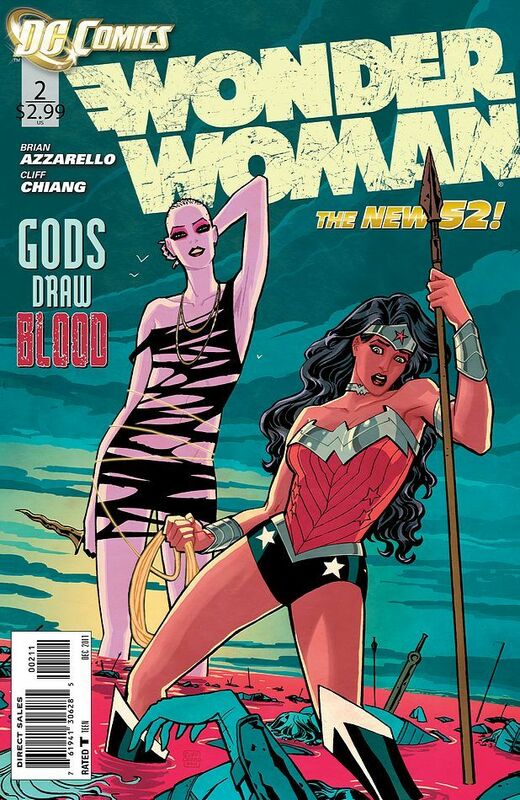 The cover features a giant Strife looking down on Wonder Woman who looks down in horror at the bodies of Amazons in the water. The cover may be one of the best I've seen this year. Chiang's panels are superb, and my favorite pages are of the duel between Wonder Woman and one of her fellow Amazon warriors. Overall, Wonder Woman is excellent. Comic book fans have no excuse for not picking up this title. 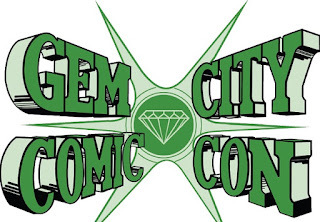 TonyDoug Wright is the owner and editor at Champion City Comics.